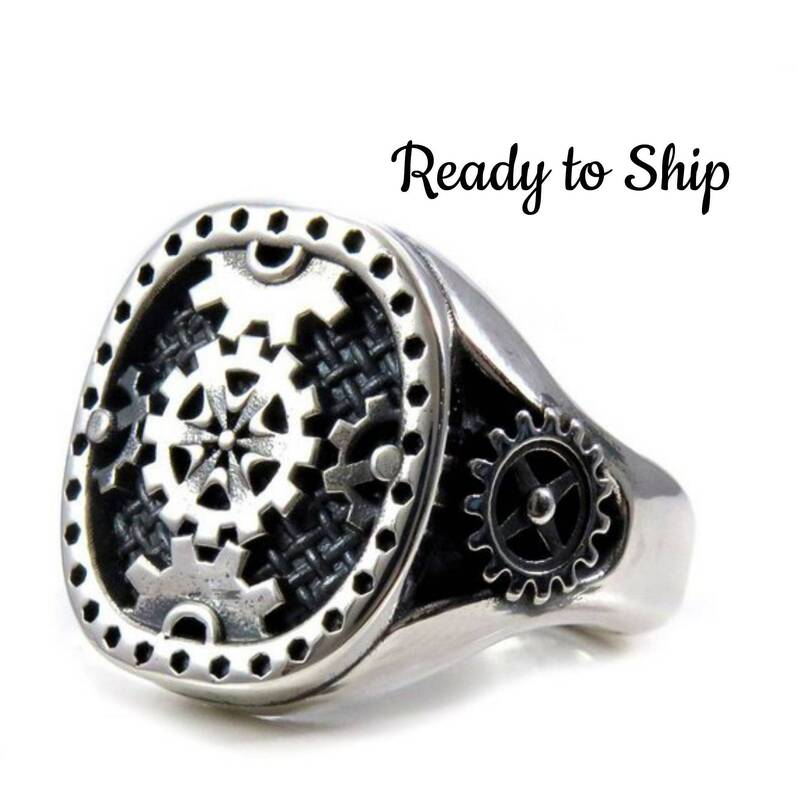 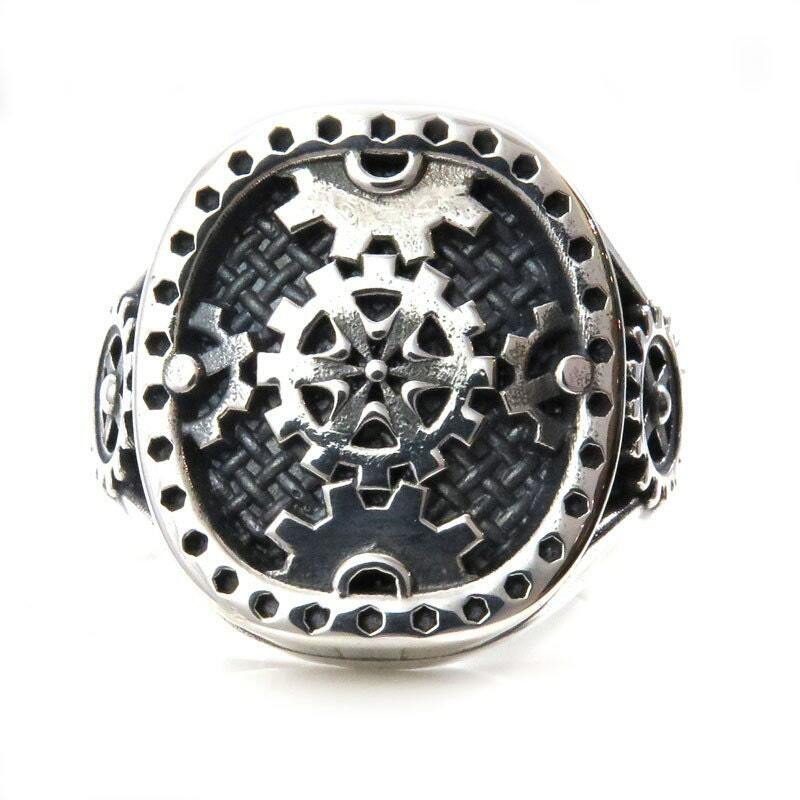 This ring is substantial, I have made a signet style sterling silver mens ring with metal mesh and gear details. 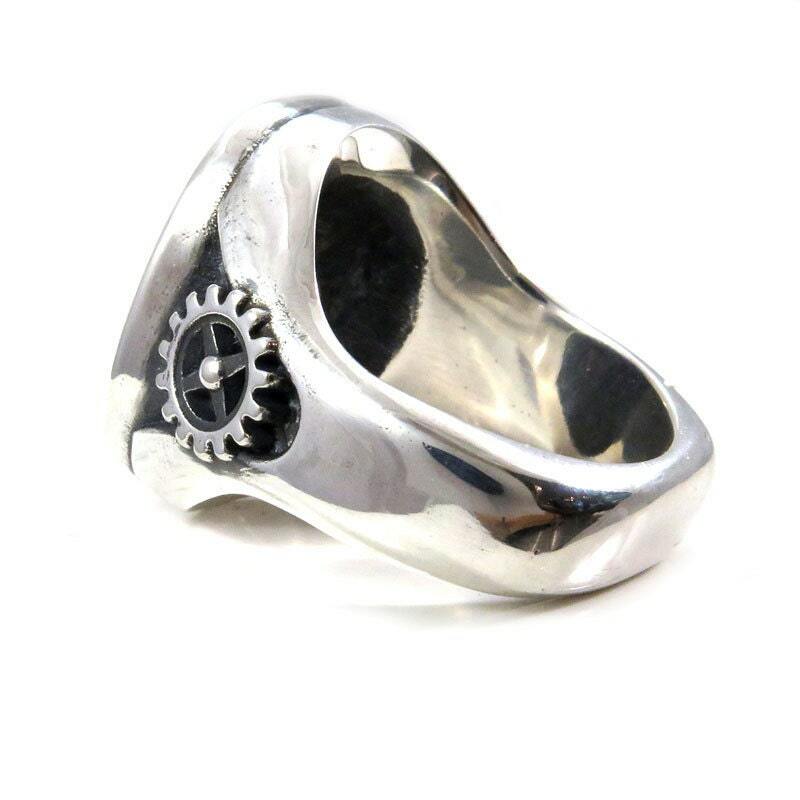 The top of the ring measures 21mm's long and tapers to 7mm's at the back. 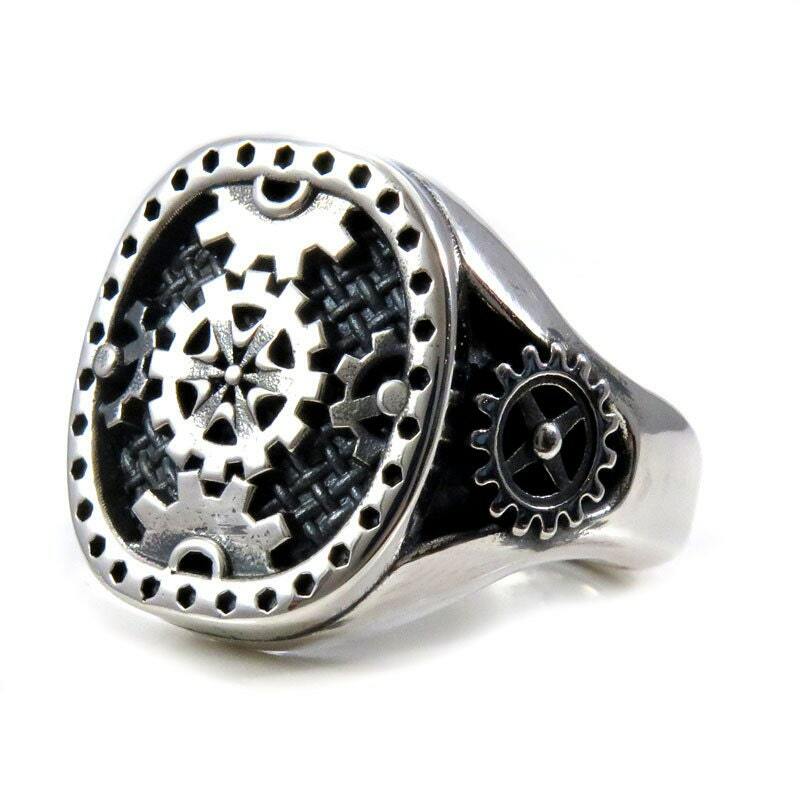 The back has a squared shape to help keep it upright. 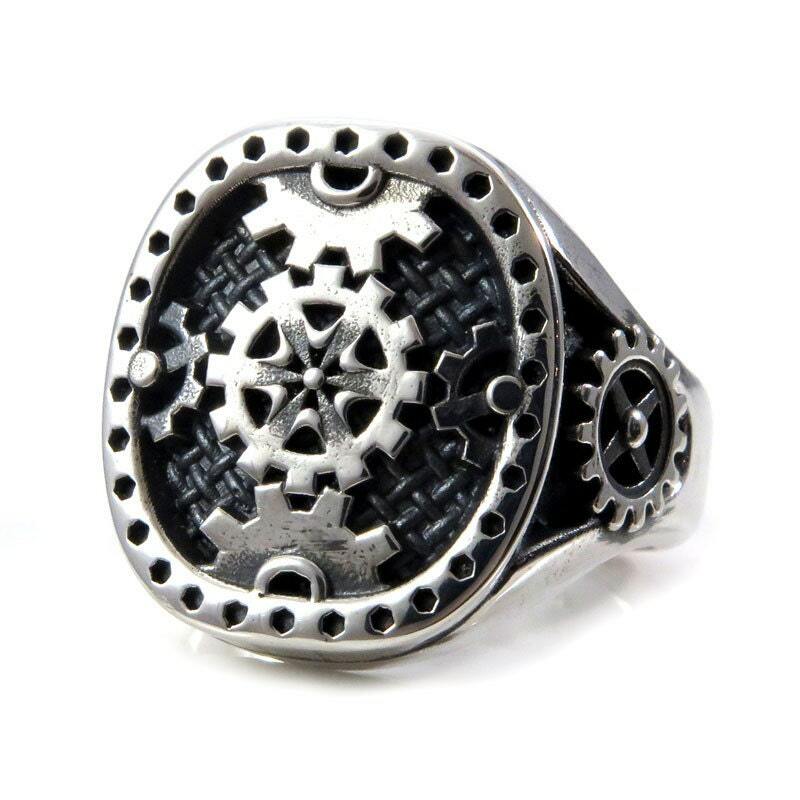 The ring is cast in solid sterling silver, I have oxidized and then polished it to bring out the details. 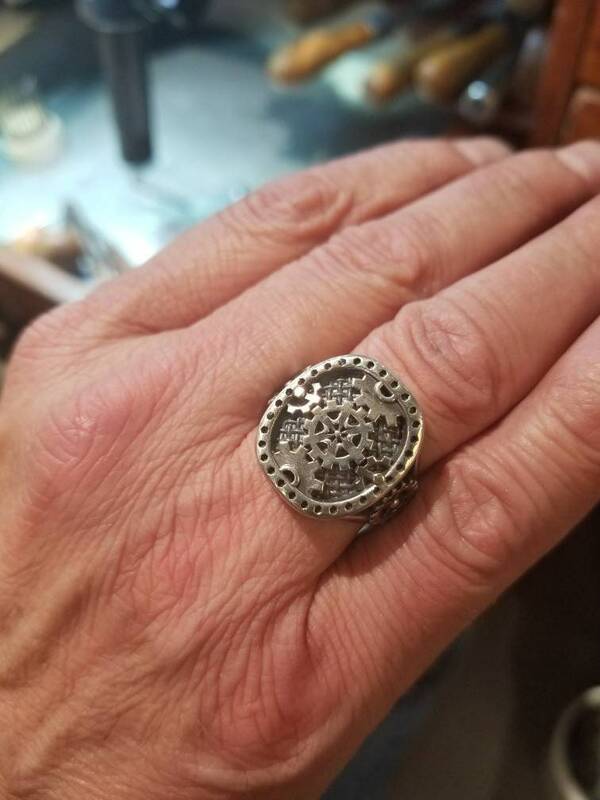 This ring in the photos is a size 10 and ready to ship.